Our weekly roundup is back with a bang for 2018. 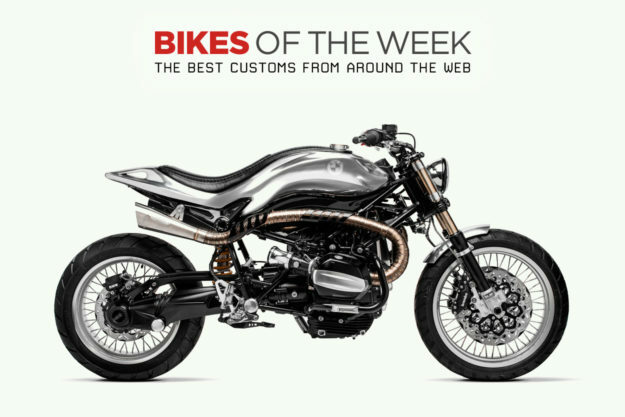 We’ve got a cafe’d R nineT from Italy, a Dakar-worthy Honda XL600R scrambler from England, and a Yamaha XS650 bobber from Bulgaria. Choose your poison. 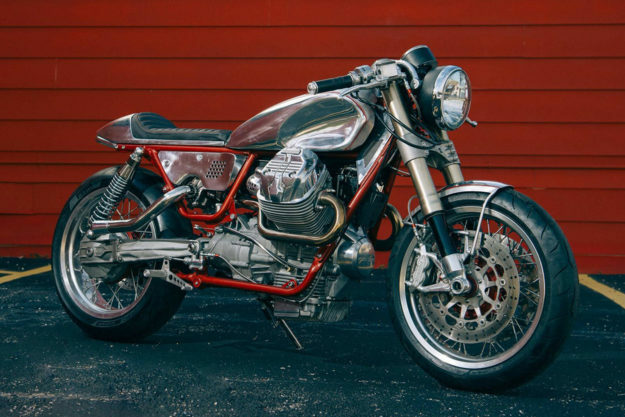 Moto Guzzi V9 by Craig Rodsmith There’s just something about turbo Guzzis and Craig Rodsmith. We saw the last one up close and personal at the Handbuilt Show in Austin and featured its dustbin-faired perfection on these pages. Now Rodsmith’s gone and done it again. But this time around, the Windy City-based Aussie wasn’t starting from scratch. Working with a new V9 and a factory endorsement, Rodsmith has transformed the civilized modern classic into a gorgeous high-powered sprinter. 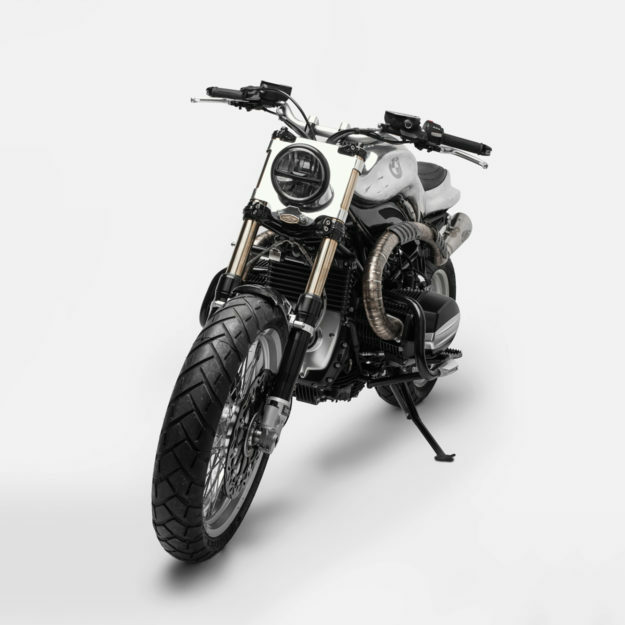 BMW R nineT by Metalbike Garage and South Garage Moto Co. 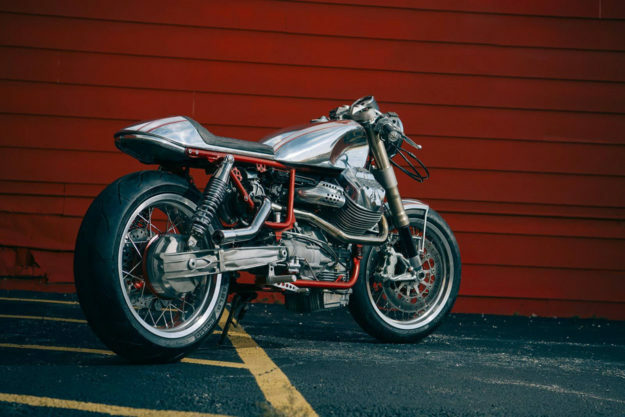 The R NineT ‘Hera project’ is the work of a collective of experts brought together by Italy’s Chop and Roll Magazine. And while most committee projects turn out looking like a platypus, this one is damned sweet. 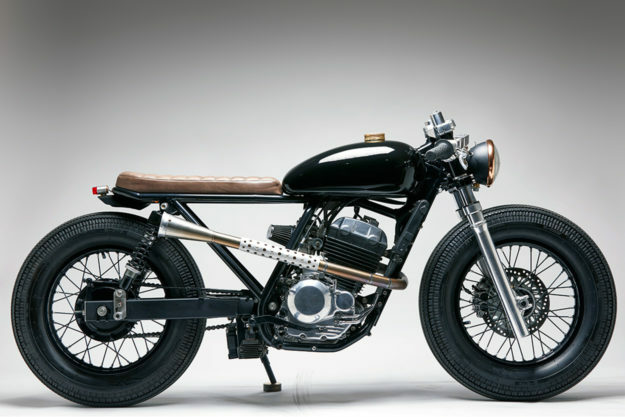 A lot of the beauty can be credited to Metalbike’s flowing, one-piece, aluminum bodywork. It echoes the work we’ve seen them do before, but this time around, things are a touch more voluptuous. Despite that, everything mounts up to the existing bracketry—and Metalbike have kept the full-length seat as well. 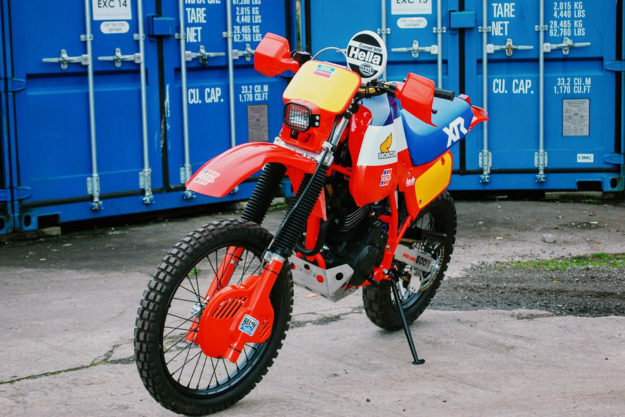 Honda XL600R by Andrew Greenland The dawning of a new year brings with it optimism for improvement, cheated resolutions and, most importantly, the Dakar Rally. 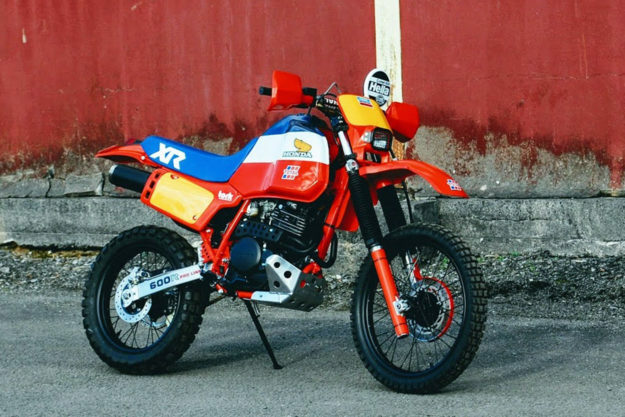 The world’s toughest moto race fired up yesterday, so we thought sharing this Dakar-inspired Honda XL600R build was downright timely. It comes to us from the skilled hands of Andrew Greenland—who you may remember from his Honda Dominator builds—and it’s easily one of the tastiest enduros we’ve seen for a while. To get the mid-eighties period-correct looks, Andrew has taken parts from a few other Big Red machines: the tank and plastics are from a 1984 XR500, the suspension is from an XR600 and the seat was snagged from a ‘86 XL600 LMF. 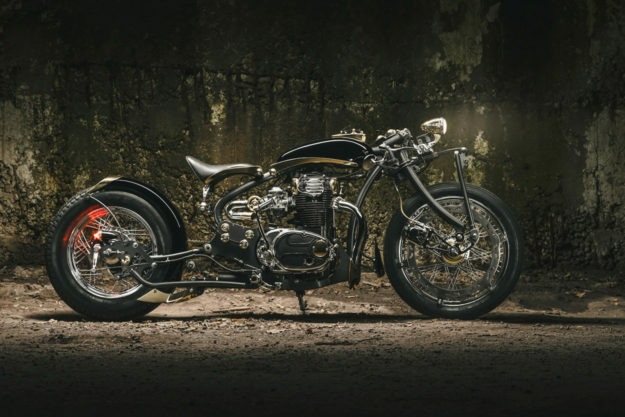 Powering this ode to hair metal and Marlboro men is the punchy thumper from a Dominator, which now braaps through a one-piece SuperTrapp exhaust. Yamaha XS650 by Galaxy Custom The Bulgarian shop have been quietly perfecting their techniques since they first squeaked onto the scene with a Z1000 back in 2012. I say quietly, because we haven’t heard much from them for about two years now. But they’re now ready to make some noise—and quite a bit of it, too. And that’s not just because of the early exits on the XS650’s new exhaust. 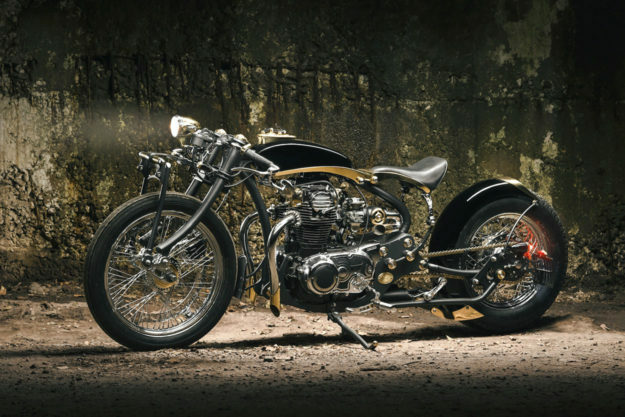 This steampunk bobber is absolutely littered with exquisite one-off details, the product of endless hours of 3D modeling and bespoke part crafting: only the wheels and engine remain from the Yammie donor. Everything else, including the frame, swingarm, suspension set-up and tank has been tackled in-house by Ivaylo Trendafilov and his crew. 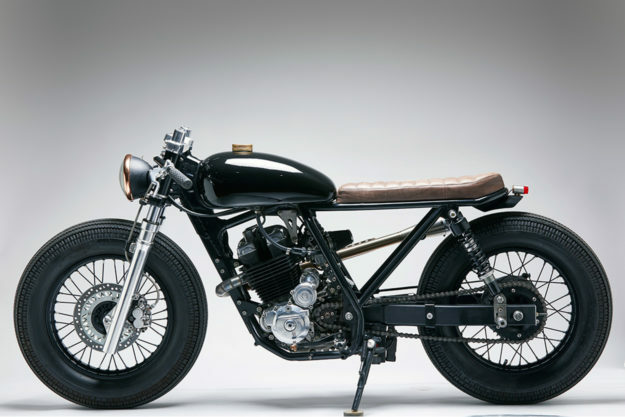 Honda Tornado by Vida Bandida Typically, when a small trail bike ends up on a bench for an overhaul it gets ‘scrambled’ or given the tracker treatment. But Antonio Lupiañez and Salvador Alasino of Argentina’s Vida Bandida do things differently, so they’ve given a 250cc Honda Tornado the cafe treatment. And a squeaky clean one at that. Getting the tiny Tornado to squat for its new asphalt-focused life involved the most effort on the build. It meant re-working the frame geometry, and building a new rear subframe that sports twin outboard suspenders instead of the Pro-Link set-up from the factory. 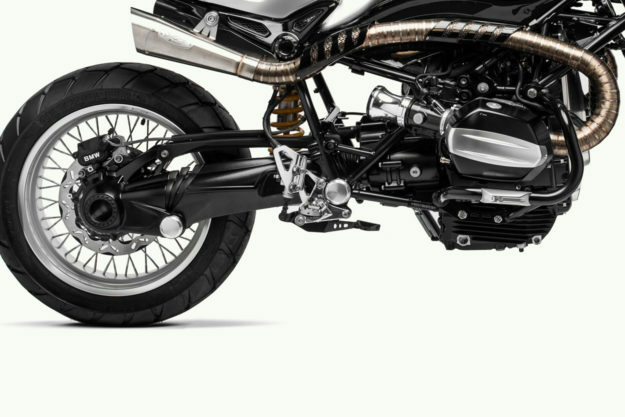 Interestingly, those shocks were poached from a Sportster, so with a fraction of the weight to deal with, they’ll keep the tail end nice and tight. Up front, the forks needed a near 7-inch chop to flatten the stance. And of course, everything inside those stubby tubes has been treated to all-new internals.